Letter describes why promised things were not sent for Christmas and promises other apparel will be sent soon. 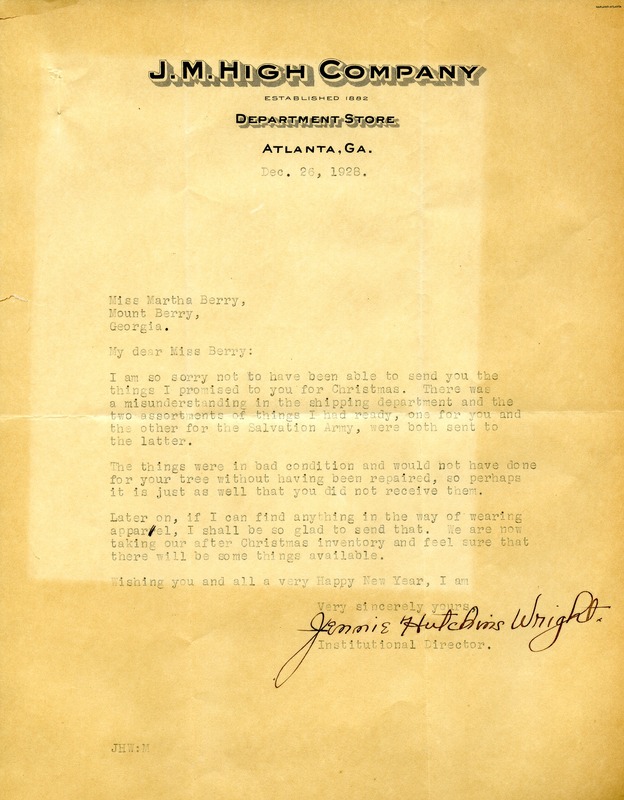 Jennie Hutchins Wright, “Letter to Martha Berry from Jennie Hutchins Wright.” Martha Berry Digital Archive. Eds. Schlitz, Stephanie A., Chelsea Risley, Alan Henderson, et al. Mount Berry: Berry College, 2012. accessed April 21, 2019, https://mbda.berry.edu/items/show/9357.